When it comes to fats it’s a love-hate relationship. You got to love them but are told to hate them. Nutritionists are constantly telling us that we need to cut down on our intakes of fatty foods not to completely eliminate our consumption of it altogether, just reduce it. Fatty foods are so tasty and so limiting ourselves proves to be hard. And that is a benefit to being a runner. Your body is better able to oxdize (burn) fat, also known as lipids, when you are performing mild to moderate exercise compared to your untrained neighbors. How Much Fat do You Need Each Day? Nutritionists argue about the amount of lipids one should be taking in. Some say as much as 25% wont hurt you while others say no more than 10%. (That translates to about an average of 50-70 grams a day.) We do know that the less fats you take in the better! The more active you are the more lipids you need but don’t overdo it! 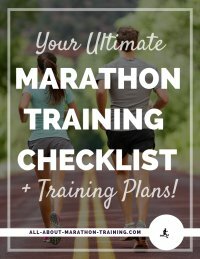 Training for a marathon does give you that extra luxury to be able to take in more fats than those who don’t exercise intensely, just don’t go overboard. Remember, the healthier the choices are that you make, the better your performance and the quality of your workouts will be. 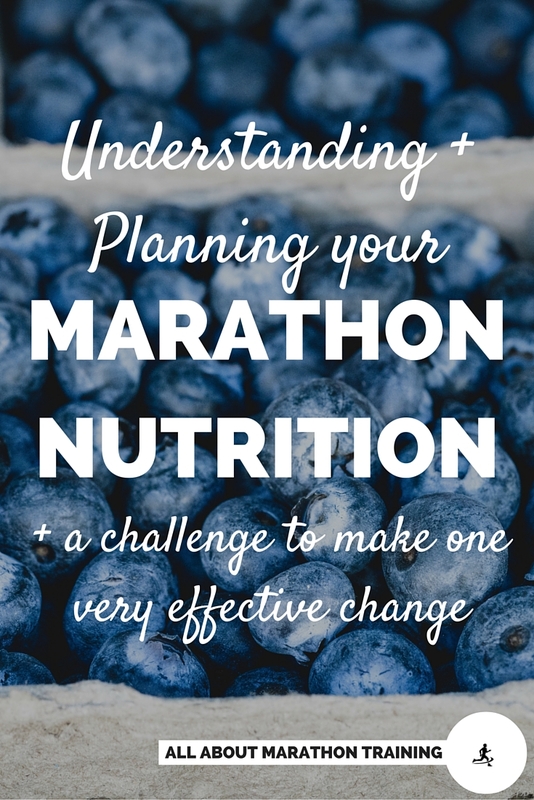 Lipids tend to make you feel tired and sluggish, not what any runner is looking for. are the lipids that you should avoid. They are responsible for the cholesterol and blocked arteries and don’t do anything to enhance your total health. However these lipids are necessary in small amounts and can be taken in easily through cheese, meats and butter. Saturated fats should count for about 70% of all our fat intake. That only leaves 30% for the bad fats and that is on the high end of the scale! Disadvantages: Increases your total cholesterol, increases your LDL (low density lipid) cholesterol, and decreases you HDL (high density lipid or good cholesterol) cholesterol. Here are a few quick and easy tips to reduce the intake of bad, processed nutrients in your diet. Limit your intake of cheese. Beware of anything with a soupy, creamy texture. They are usually high in fats. This is true of a lot of salad dressings so watch out and choose something lower in fats like a Balsamic Vinaigrette. are made up of monounsaturated and polyunsaturated lipids. These are the "good kind" that are found in the oils, i.e. corn, safflower, soybean and sunflower oils. Their benefits include: decreasing total cholesterol, LDL (low density lipid) cholesterol and has no effet on HDL (high density lipid)-cholesterol. 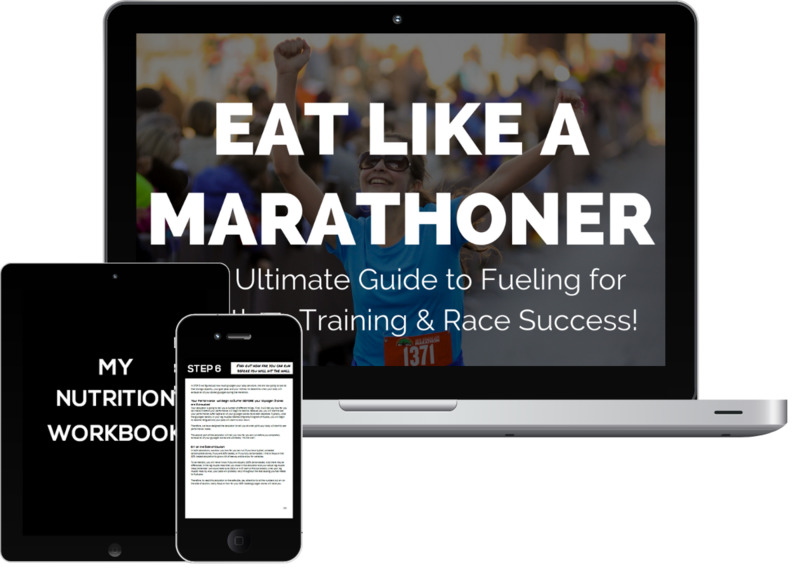 Originally, it was believed that endurance runners could benefit from a fat-loading versus carb-loading diet before a big race. We know now that this is not the case. Although this is not the case, we do know that during an endurance run and at a high intensity run, we will burn more lipids then performing at a lower intensity or shorter time period. Are primary fuel source will and always will be carbohydrates (glycogen to be more specific) but we also oxidize lipids to a certain extent. We all have an almost unlimited supply of energy from fats. It is our largest source of potential energy. Unlike lipids, we can only store a limited amount of carbohydrates in our body, roughly around 2000 Calories worth. 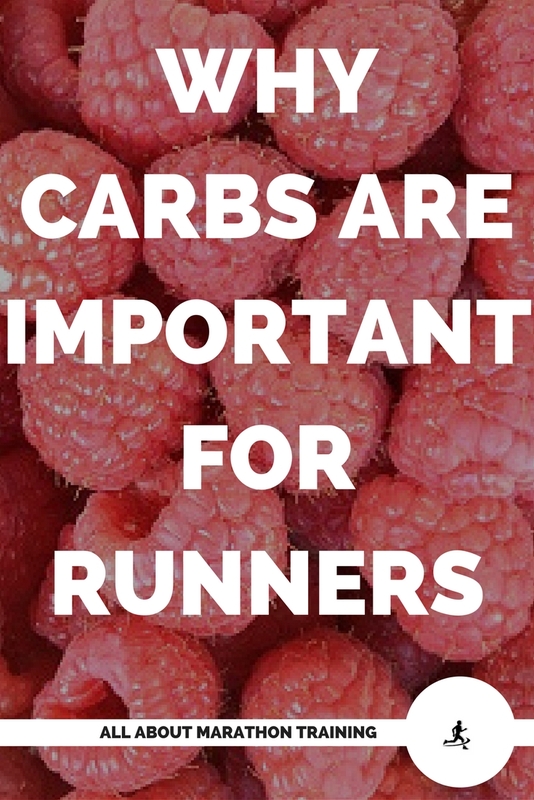 Because we can only store limited amounts of carbohydrates and that is our main fuel source when we run, we must supplement our body during long runs of over an hour. 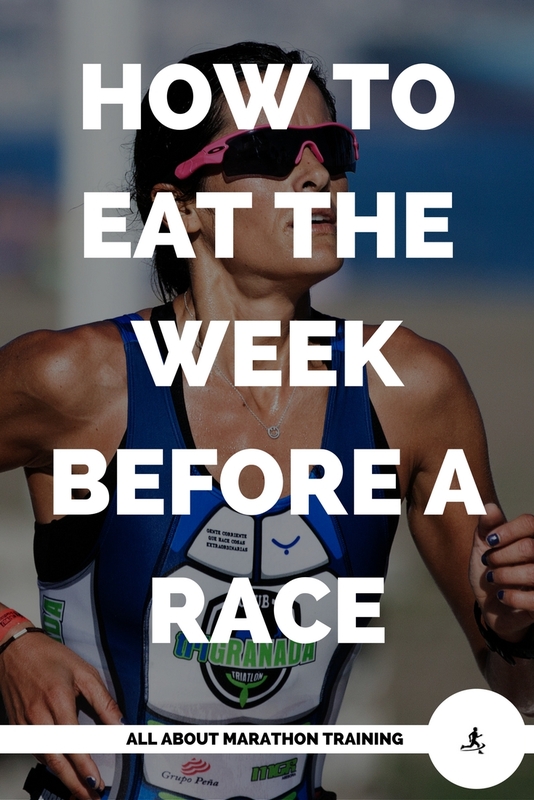 This is quite different from the third macronutrient, protein (the three macronutrients are carbohydrates, proteins and fats) which has extremely limited if any ability to be oxidized for energy during running. It is more of a recovery and rehabilitative nutrient. But why is it important to eat healthy lipids? 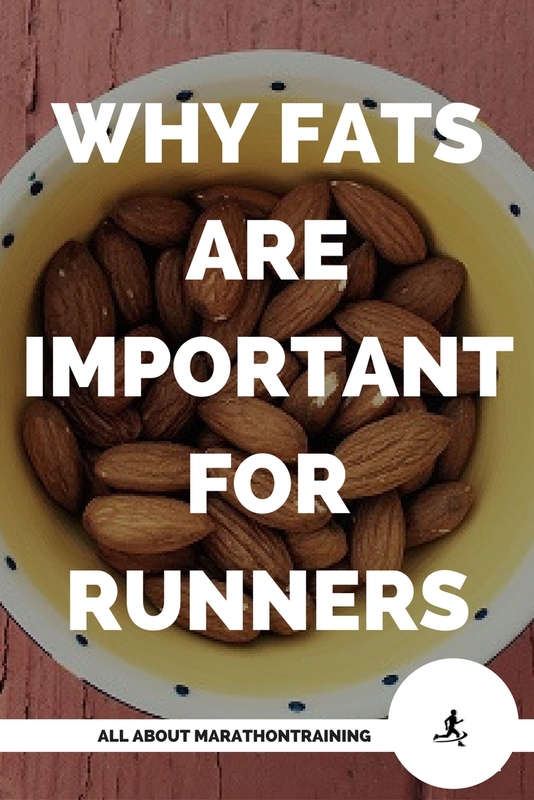 Because during running and particularily marathon running which is considered a high intensity, long duration workout, once our bodies are depleted of our main fuel source of glycogen (carbs) it will turn to our fat resources to fuel the rest of the duration of exercise and recovery. We don't need to load up lipids because as mentioned early, we have an almost unlimited supply. We do however want to make sure that we have reserves of healthy lipids. It all boils down to quality over quantity.